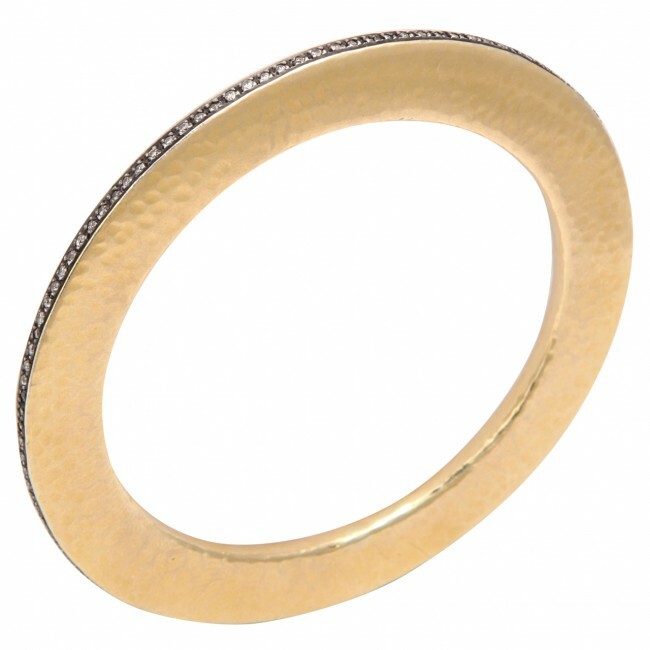 A hand hammered 18kt yellow gold bangle. The bangle has a ring of diamonds around its circumference. The diamonds are set in rhodium plated sterling silver.